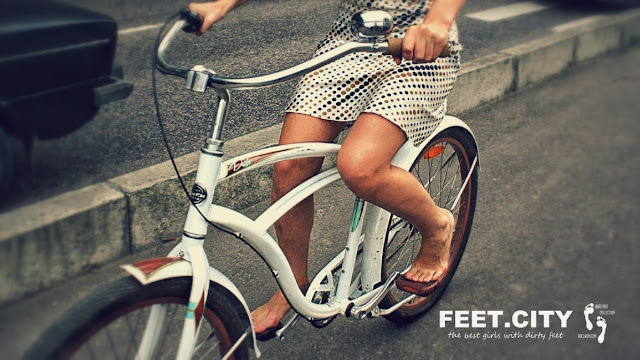 Our new girl likes to ride a bike barefoot. She left her shoes at home. Her bare feet are happy freedom!